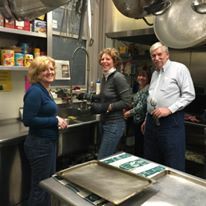 Each month on the last Tuesday of the month, NCC gathers up a team of volunteers to serve at the Salvation Army Soup Kitchen at 15 Middle Street in Portsmouth. 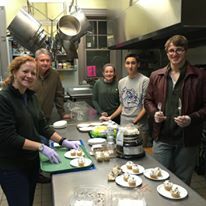 We prepare and serve dinner while we have a great time making connections and sharing a warm meal with people in Portsmouth. To volunteer for this mission ministry, please call the church office. You don’t have to be a member of the church to join in!